In the latest effort to house the growing number of homeless in the San Diego region, city officials Wednesday said three new temporary shelters will open, the first one or two by the end of this year. While the city has worked on finding housing opportunities for the homeless, the decision also comes in the wake of a deadly hepatitis A outbreak, which has largely impacted the vulnerable population. Each temporary facility will come with more than 100 beds, with restrooms and showers, and service providers will be on site at all three locations, offering alcohol and substance abuse counseling and job search training. “This represents a significant expansion of our homeless service network and is one of the most immediate and effective actions we can take to provide relief to unsheltered people who are suffering and want help,” Mayor Kevin Faulconer said at a news conference. Not all city officials are satisfied with the timeline, though. Councilman David Alvarez said the city needs to act now. 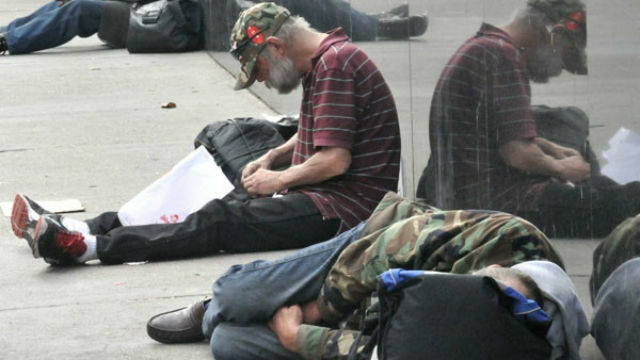 In order to find housing opportunities for the homeless, the city has partnered with individuals in the private sector to fund operation costs. The final price is to be finalized in the coming weeks. But at least two businessmen have offered to donate $1.5 million to help expedite the opening of these shelters. The parking lot on Father Joe’s Villages campus at 14th and Commercial Streets in the East Village. A vacant lot in the 2700 block of Sports Arena Boulevard, behind the Goodwill store, in the Midway District to be run by the Veterans Village of San Diego. And a vacated street at 16th Street and Newton Avenue for a shelter to be operated by the Alpha Project. The 16th Street location was used for several years for a tented shelter during the cold weather months.